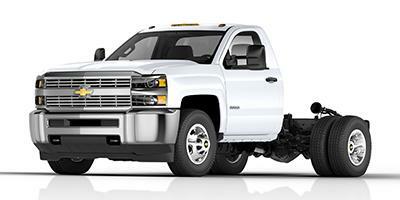 Master your surroundings in the new Chevy Silverado 3500HD in Madison, WI. The Silverado family is known for being the longest-lasting and most dependable full-size pickups on the road, and the 3500 lives up to its namesake. The new 3500HD features two engines to choose from, the available 6.6L Turbo-Diesel V8 and standard Vortec 6.0L V8, towing up to an impressive 23,100 lbs. with ease. The Chevy 3500 gets up to 445 horsepower, 910 lbs.-ft. of torque and features upgrades like tow/haul mode and Hill Start Assist, giving you the power boost you’ll need for the toughest jobs. Search our inventory of the new Chevy Silverado 3500HD for sale above and sort by your desired price, trim level, and features. To test drive your new Chevy Silverado 3500 in Madison, visit your local Bergstrom Madison Chevy dealerships in Madison, WI today. Bergstrom Madison is your premier destination for new and used cars for sale in Madison, WI. Serving guests in Middleton, Stoughton, and throughout Wisconsin, we invite you to explore our selection of new and used cars, trucks, and SUVs. Bergstrom Madison has the largest inventory of Madison Chevrolet and Cadillac vehicles in Wisconsin. Bergstrom used cars for sale in Madison, WI are among the best the area has to offer. At Bergstrom Madison's new and used car dealerships, we pride ourselves on our commitment to excellence and making your new or used car buying experience easy and enjoyable. Shop cars for sale in Madison and if you have questions, call us at (888) 627-1569 or contact us online. Take the next step and visit one of our Madison new and used car dealerships to test drive your new Chevrolet Silverado 3500HD vehicle today.